Stacey Dooley has broken her silence over romance rumours about her and Kevin Clifton, as she said: “There are 2 sides to every story”. The Strictly Come Dancing winner and her long-term boyfriend, Sam Tucknott split following the show and the 30-year-old has since claimed that Stacey has started dating her former dance partner, Kevin Clifton. 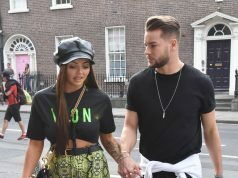 Speaking to The Sun on Sunday, Sam alleged that he saw an “I love you” text from the pro-dancer on Stacey’s phone while they were clearing out their apartment following their split. “I haven’t got the time or energy to correct some of the utter nonsense I’ve read on here,” she continued.